Totally black. Stylish. Uncompromising. Virtually a stealth watch. 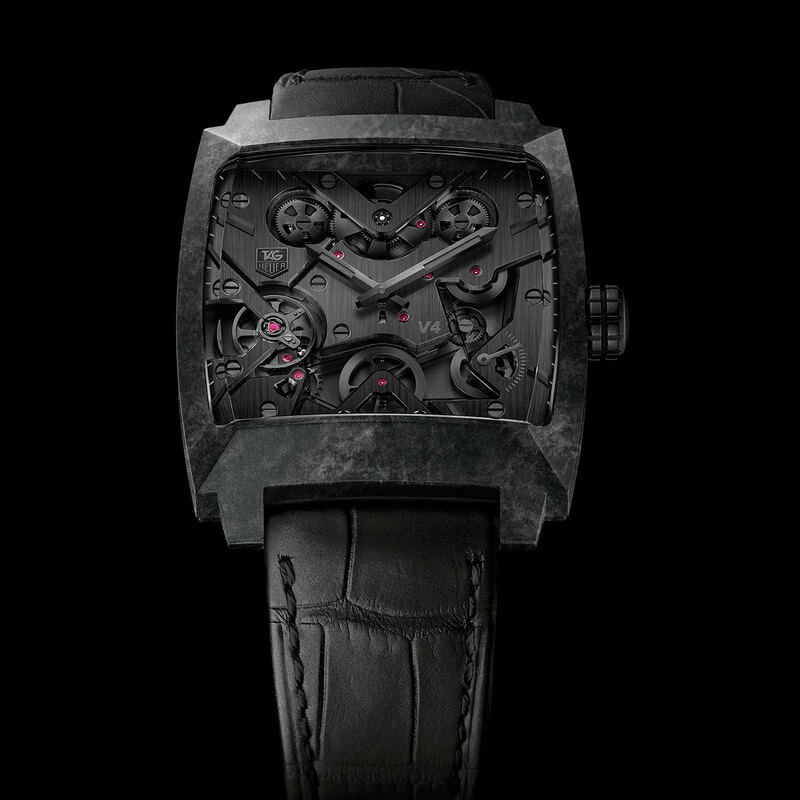 The Monaco V4 Phantom debuts an innovative case made entirely from Carbon Matrix Composite (CMC), as are the movement's seven bridges. Using a special technique, the carbon fibres are positioned in the required direction in the mould, then microblasted to produce a particularly stylish "matt black vertical brushed" effect. This command of futuristic materials echoes the avant-garde construction of the famous V4 movement, with micro-belts cut with microscopic teeth and a linear mass which, rather than rotating, runs along a straight track on ball bearings. The dial, which plays on different intensities of black with touches of colour from the jewels, adds to the watch's sharp design. TAG Heuer is renowned for its innovative spirit and savoir-faire, and this watch has both.